Do you love culinary explosions? Then this is the place to be! Different flavours come together and make your lunch or dinner an unforgettable experience. The chef will surprise you with his specialties. And the final touch? An incredible view. 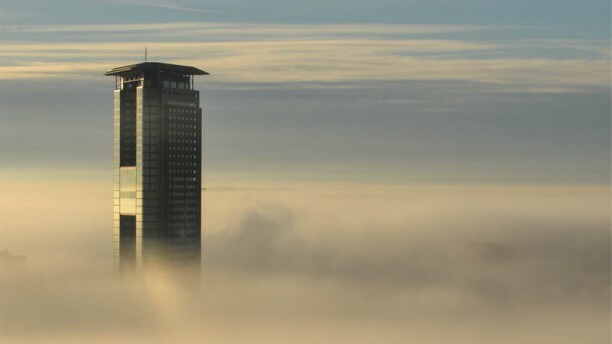 The Penthouse ligt op de topverdiepingen van de Haagse Toren. De toren ligt direct naast NS station Den Haag Hollands Spoor (niet CS!). Er is eigen parkeergelegenheid aan de Hofwijckstraat. An excellent meal with a very attentive server. I recommend the surprise lunch 3 course menu. Great view for sure n friendly service. But that’s all. The staffs seemed un-coordinated and way from service oriented. Noone really bothers if we want appetitive or wine, for instance. Food is below average - comparing to the price. We got 4 courses menu and were only satisfied by the appetizer. The soup is disappointing after all. Went with my wife for post anniversary and birthday celebration. Ordered the 5-course meal. Food could be better. Interior needs a little improvement as well. Too little space between tables. We were given seats by the window (which was really nice) but there is another coupld right beside us, facing our side, which was a little awkward. And again, since we were celebrating, I expected that they will prepare a little surprise, maybe a dessert with a nice greeting, to make the night extra special for my wife. We paid the bill but none eas given. The staff who assisted was very nice and polite, however, he forgot to take note of that (i clearly indicated it in my reservation). A bit sad about that. Sent feedback to the restaurant via facebook but all they could say was “sorry”. Too bad. Expected more overall since the advertisements about the supposed highest restaurant in Holland are so grand. We have honestly been to much much better restaurants here and overseas (55th, 61st, 72nd floor, etc.). Great view of the city, very good food and nice environment ! The place unfortunately was overrated and overprices. The fish dishes are tasteless, and even had to ask for salt. The view is great. We had a fantastic sunset and overlooked The Hague and the sea. However the restaurant disappoints. The atmosphere is poor. It is like a Mc Donalds on the top floor of a skyscraper. Do not expect that you will have fine dining here. Our dry aged beef was not bad but the accompanying vegetables were overcooked (asparagus) or old and hard (onions). The service was a "Van der Valk" type of approach. If you do not care that you pay a lot for lousy food and want to have dinner one time at a great spot, go the the penthouse in The Hague. Loved the place. Great view of the city, very pleasant service, good food and reasonable prices. Excellent staff and lovely food with a great view! What more could you want!?! Service was slow and the food was OK. The "chef's specialty" lobster bouillon was nothing special, lobster not fresh and the bouillon was bland. Interesting concept but just didn't work at all. I had the shrimp risotto which was good. My wife had the fish which was really subpar - not fresh and overdone. No.42 soup Tom Kai soup wasn't a soup, it was very heavy cream - not something anyone would eat as a soup. Service was horrible, but to be fair Holland isn't know for its service. Still, it was especially bad here - I had to chase the waiter for every glass of wine, every glass of water, even to get the bill at the end. Had three separate wait staff throughout the meal as staff rotated off shift, so you never knew who to ask. Staff complained it was "so busy" though I only saw a few tables in the restaurant. Great view, and a great place for a business lunch or staff event, but I wouldn't recommend it for a serious dinner. After reading some negative reviews that were left by previous customers, I was slightly concerned about the quality of the food and service. It turned out that those concerns were completely groundless, and we had a great time at The Penthouse. Service was immaculate and all the dishes were so delicious and well laid-out. The wine list was extensive and a good variety even on the house wine list. The view from the 42nd floor was really great - both in daylight and after the sunset. Highly recommended! A really Nice restaurant with a spectacular view. The food and service was great. A few, But really good wines. As you would probably expect, you are paying largely for the view, which is spectacular at sunset. The food is very good, not top notch though, but service and welcome excellent. Access by the side of the building is via walkway next to building site! Food almost as good as the view. Cannot praise highly enough. A wonderful dining experience throughout: location, service, quality of food al, of exceptional standard.